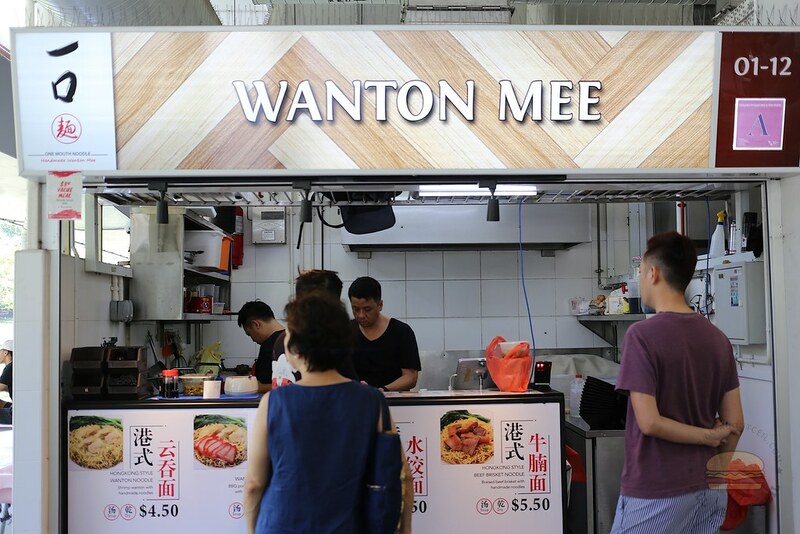 Jim Yeow, 37, the owner, a former interior designer that started in a coffee shop at Geylang Lorong 27 but closed down in December 2017 and reopened at Yishun Park Hawker Centre on 1 April 2019. His father, Mr Yeow Lok Meng, 68, used to run a stall in Chinatown for decades but has already retired for almost 20 years, he learned the art of making noodles from a master from Guang Zhou in 1965. 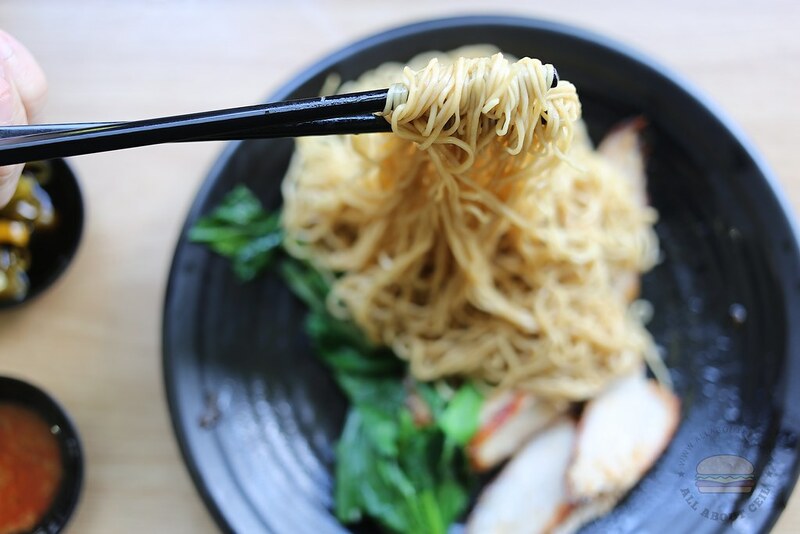 Their noodles are handmade at the stall using the same technique for making Cantonese noodles with just eggs and flour based on a recipe that has been handed down. It is very challenging in making the noodles, it requires the right technique and adequate amount of strength to do it right. Not many are making their noodles these days. I was there on a Sunday slightly after 12 pm. There were another 2 customers in front of the stall. I wanted to have their Hong Kong style Beef Brisket Noodle ($5.50) but was told that it has finished. I decided to go for their Char Siew Wanton Noodle ($4.50) and Shrimp Dumpling Soup ($4.50) then. I was told that they only left the last 2 pieces of Shrimp Dumplings and I can choose to just add on. I wanted to add extra wanton but Jim said, "Don't want la. I do not have enough." Another customer was also waiting for his order to be ready. He also requested to add extra wanton to his noodles but was also told not to do so. 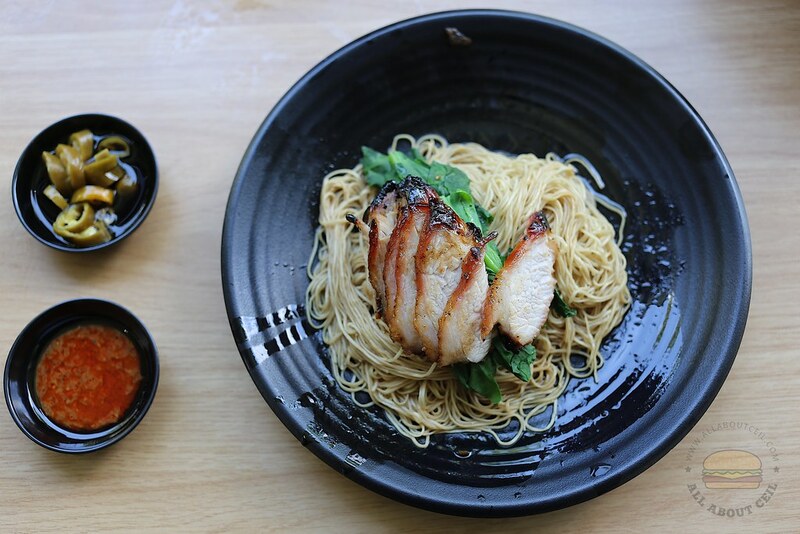 He said, "Their wanton noodle is very nice, particularly like their Char Siew." He sounded like a regular customer. I replied, "You are staying nearby?" He pointed at the block behind. He also said, "Their dumplings are also very good." I overheard when he asked for dumplings earlier. I laughed then said, "I am the one that took the last 2 dumplings." We were waiting for the char siew to be ready. 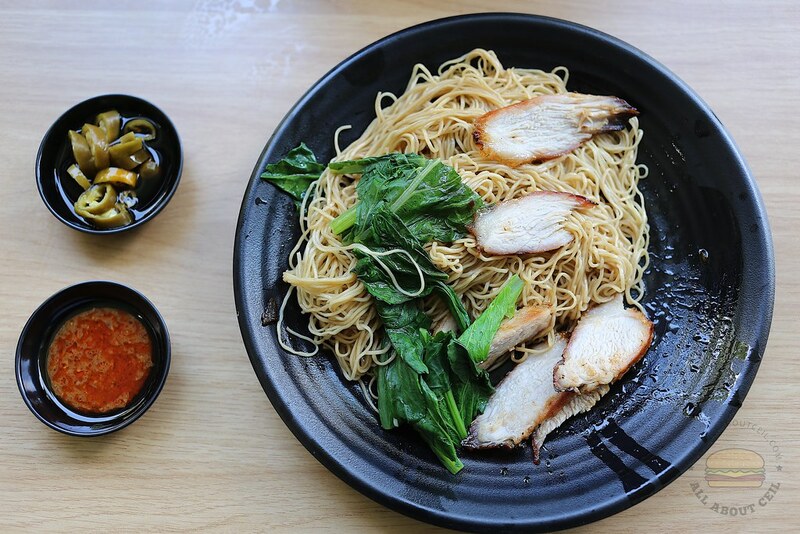 Their thinly-pulled noodles are kneaded by hand and its texture is quite similar to those served in Hong Kong, it is lighter and springier, almost no lye is tasted. My dining companion said, "The noodles are very nice. The char siew though tasty but not tender enough, the cut is a bit too lean. " The wantons and shrimp dumplings were quite nice though particularly the shrimp dumpling. 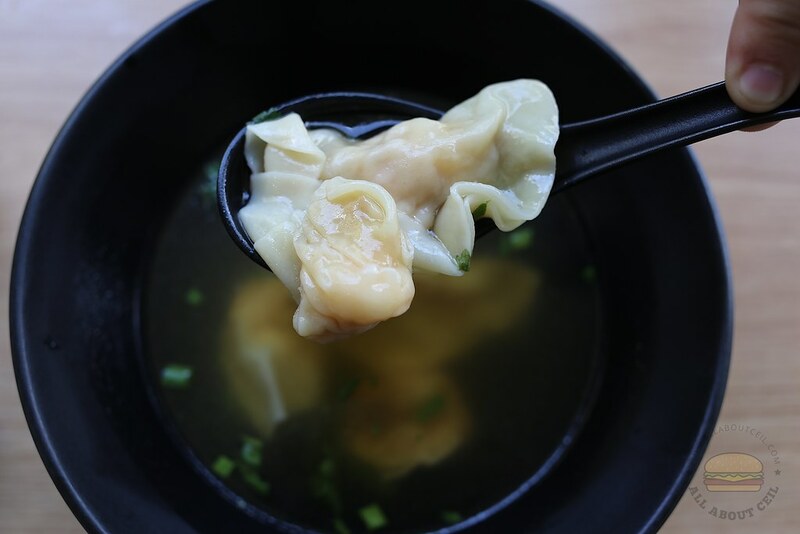 The shrimp dumpling consists of a piece of shrimp with minced meat nicely wrapped in a piece of thin wrapper. As I was just seated near the stall, I overheard that the noodles were ran out and they have to halt the operation while making a new batch for dinner. 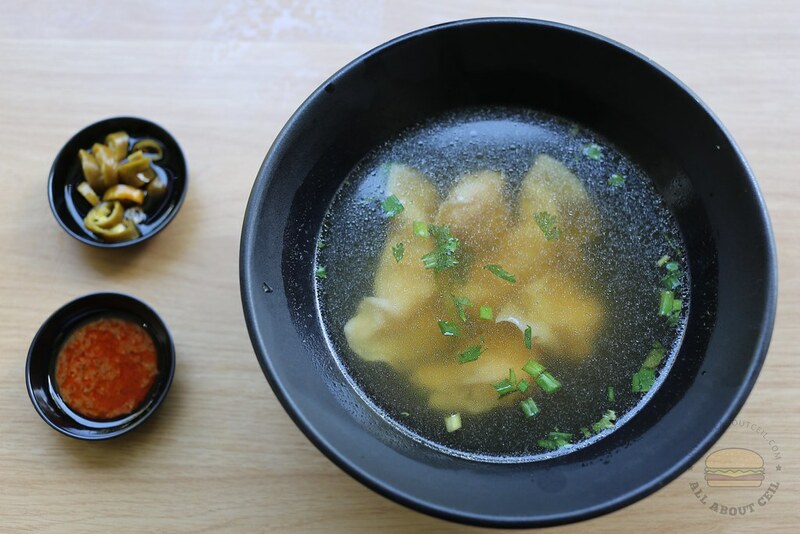 Jim is striving hard to preserve the originality of the authentic wanton mee founded by his father.